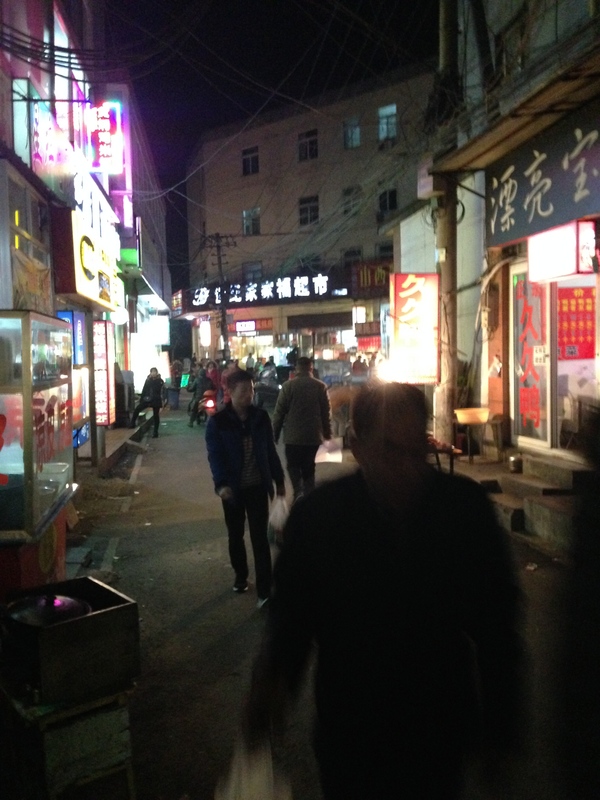 The Dongzhi (dong-jurh) Festival, or Winter Solstice Festival, is an important festival celebrated throughout China. It falls on the coldest day and the longest night of the year, this year it was December 22. 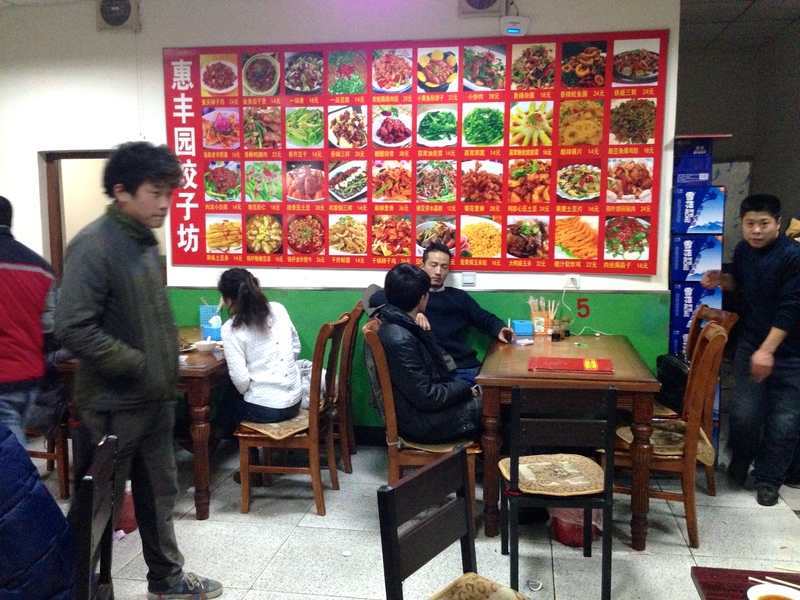 People traditionally get together, families and friends, and eat and drink. 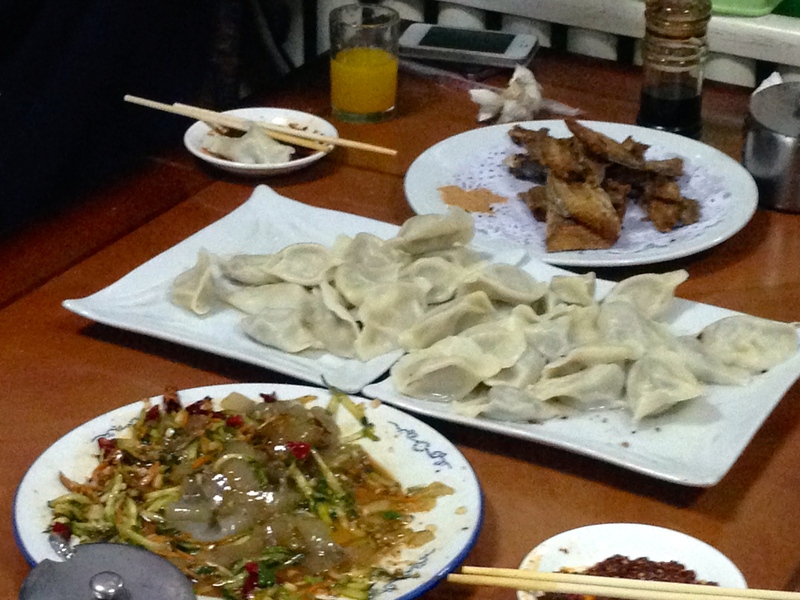 In Beijing and northeast China people eat jiaozis (gee-ow-tzuh) or dumplings. In the later years of the Han Dynasty (206 BC-220 AD) it is said that on a cold winter day Zhang Zhongjing, one of the great Chinese doctors of that period and in Chinese history, saw the poor suffering from chilblains on their ears. He ordered his apprentices to make dumplings with lamb and other ingredients and had them distributed among the poor to keep them warm and their ears from chilblains (dumplings look like ears). 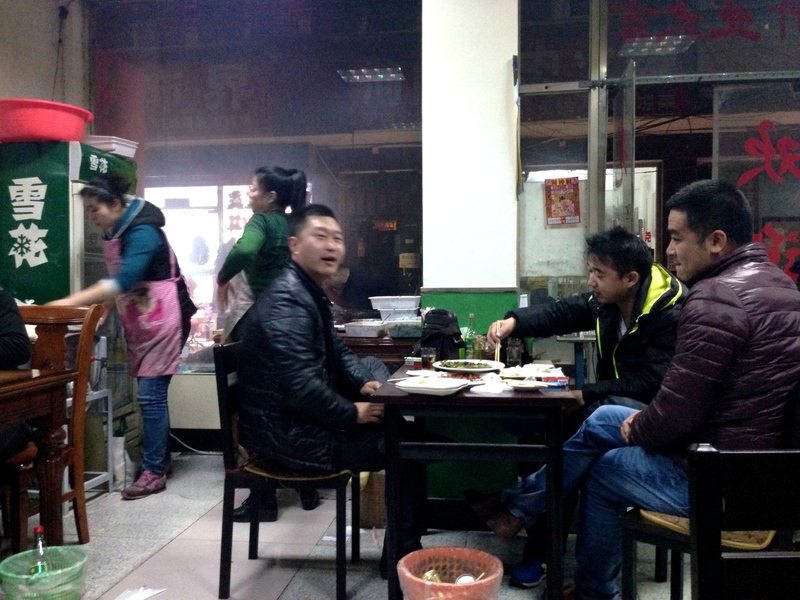 From that time on, it has been a tradition to eat dumplings on the winter solstice. 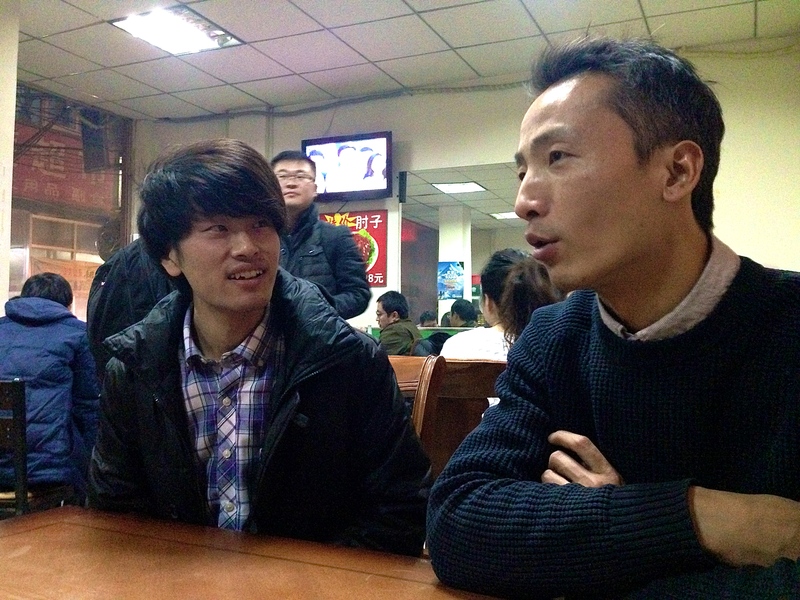 On the 22nd, my friend and artist, Zhang Xinjun, called me and invited me to go out to eat dumplings for dinner. 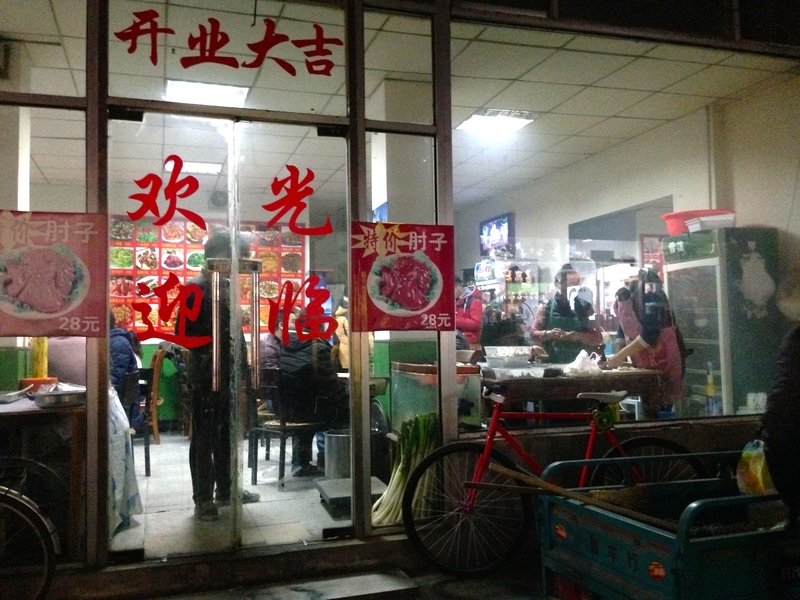 I was a bit busy and hesitated but he was persistent and said that today is Dongzhi and it is important to eat dumplings. So, I went and was glad I did. 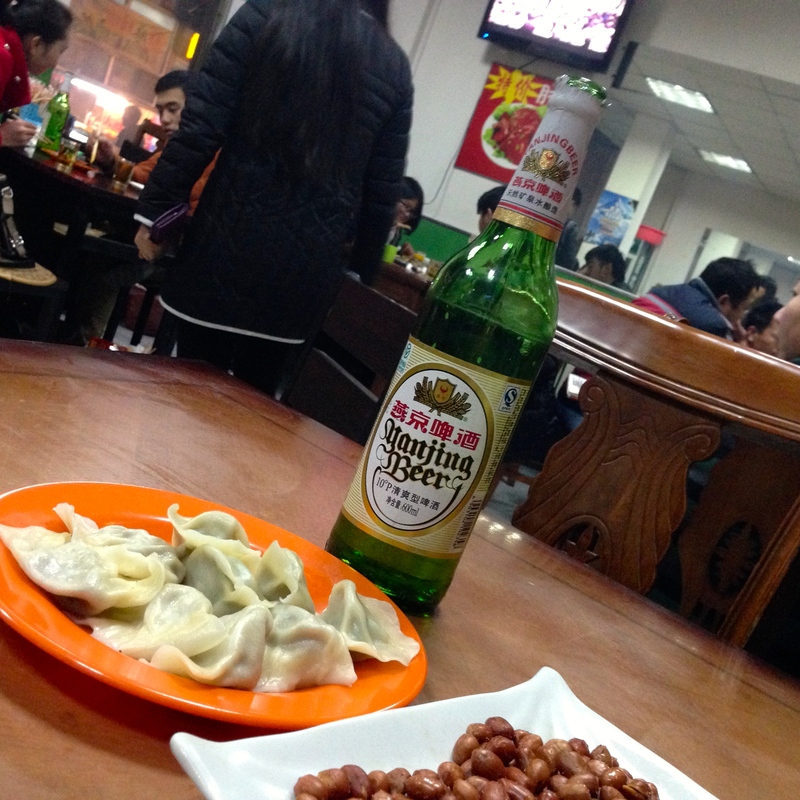 People were out everywhere, filling the restaurants, laughing, drinking, keeping warm, and eating dumplings. 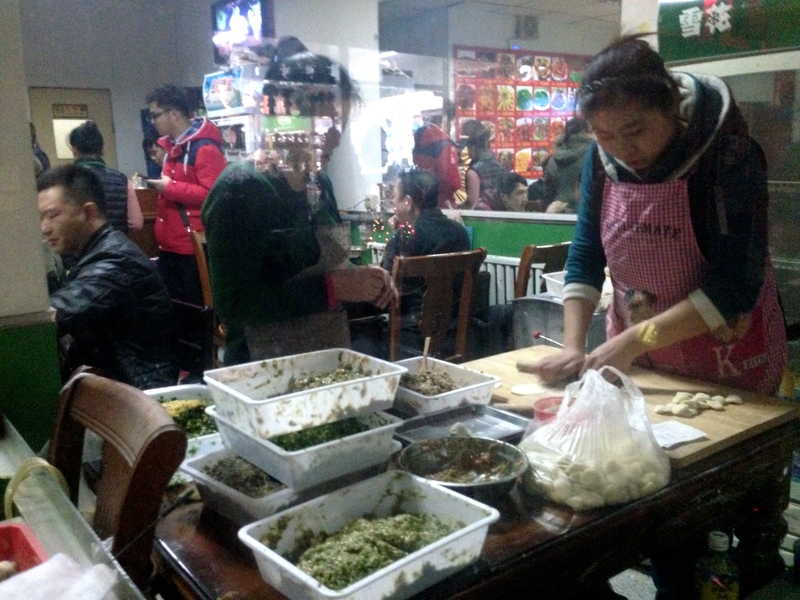 You could see in steamy windows along the streets woman feverishly kneading dough, rolling it out, cutting it into circles, folding and stuffing the white dough with pork, vegetables, ginger, egg, etc. 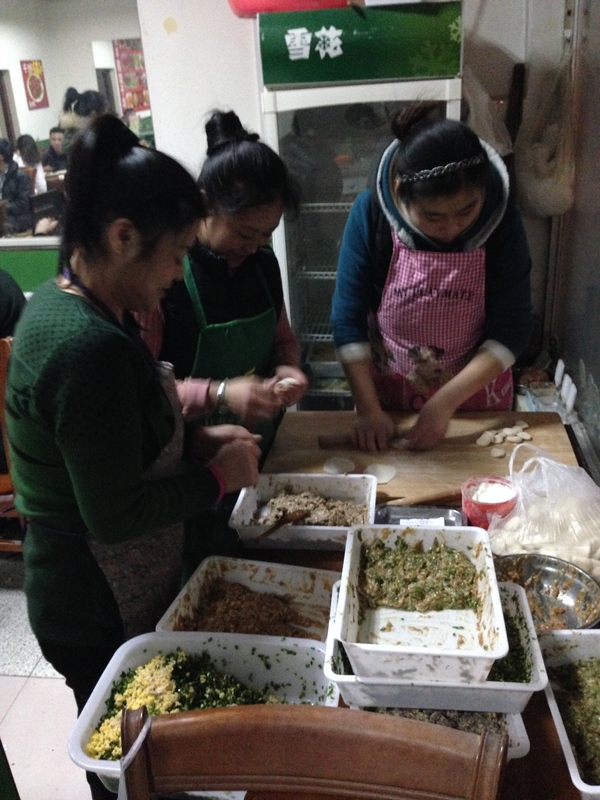 All that they could make was immediately and continuously sent to the kitchens to be steamed. Soon they were paraded out into the restaurant on huge white platters and placed on tables before the loud and hungry masses. 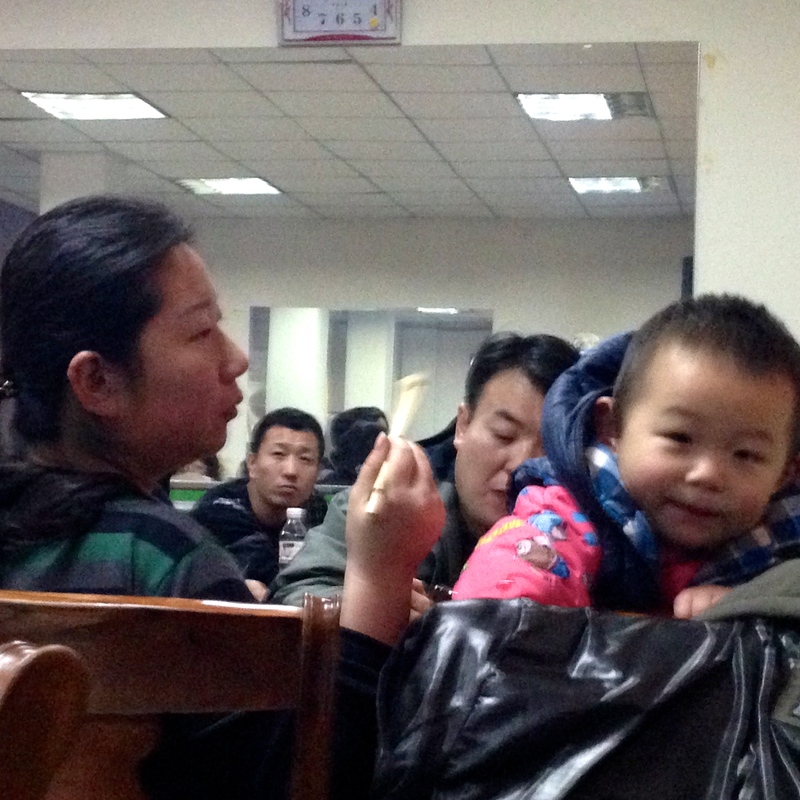 The Extreme of Winter Festival Day is really the best day of the year to eat dumplings!